March 23rd all participants in the raffle will be pinged. After March 23rd you'll need to let me know if I missed anything and I will ensure that you get your tickets. On my off day that week I will draw all winners via Random.org and a browser-sharing program to keep everything public. Winners will send in their prize preferences in lots of 10, this way everyone will know their placement in the winner list but not have to send in prize choices of 30+ packs. 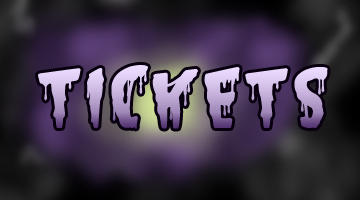 You can find ticket worth of items, ticket entry, and total sum of tickets for each person here! 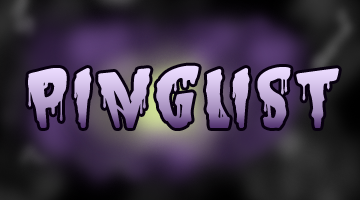 You can sign up for my pinglists here! I have one that I will ping at the start of each week the raffle runs and one for a last day ping. If at any time you want to remove yourself from the pinglist, ping or PM me and I will do so! 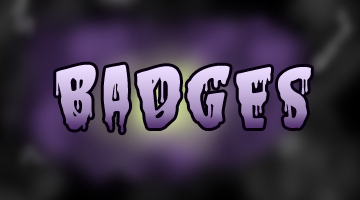 There are three badges available for participating in this raffle! They can be obtained by reaching a certain ticket amount in the raffle. 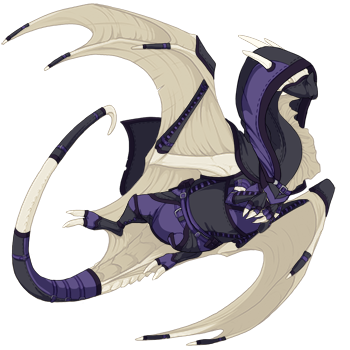 [center][url=http://www1.flightrising.com/forums/raf/2637537/1#post_2637537]Main[/url] | [url=http://www1.flightrising.com/forums/raf/2637537/1#post_37857495][b]Rules[/b][/url] | [url=http://www1.flightrising.com/forums/raf/2637537/1#post_37857499]Tickets[/url] | [url=http://www1.flightrising.com/forums/raf/2637537/1#post_37857505]Prizes[/url] | [url=http://www1.flightrising.com/forums/raf/2637537/1#post_37857508]Unlocks[/url] | [url=http://www1.flightrising.com/forums/raf/2637537/1#post_37857509]Egg Guess[/url] | [url=http://www1.flightrising.com/forums/raf/2637537/1#post_37857651]Costume Party[/url] | [url=http://www1.flightrising.com/forums/raf/2637537/1#post_37857660]Banners[/url] [u][url=https://docs.google.com/spreadsheets/d/1HCBfNc_uMNPgKQcnKjoneuri2CUGN06P9LQ0kPaEirs/edit#gid=197281335]Spreadsheet[/url][/u] | [u][url=https://deadlyraffles.tumblr.com/Tickets]Text Item Prices[/url][/u] [img]https://i.imgur.com/X2FOVUn.png[/img][/center] 1. Winners will be drawn during a public livestream using Picarto. Each person can only win once unless there are more prizes than entrants. You do not need to be at the livestream to win. 2. Please be respectful to myself and other participants. I unfortunately won't always be able to respond right away due to work, sleep, or other IRL things. Note that I can only accept dragons when I'm online... so you may end up having to wait a bit and I apologize for that! 3. Rules may be added on an encounter basis. If something occurs I will announce a new rule or alterations and they will be bolded in red for everyone to see the changes. 1. Winners will be drawn during a public livestream using Picarto. Each person can only win once unless there are more prizes than entrants. You do not need to be at the livestream to win. 2. Please be respectful to myself and other participants. I unfortunately won't always be able to respond right away due to work, sleep, or other IRL things. Note that I can only accept dragons when I'm online... so you may end up having to wait a bit and I apologize for that! 3. 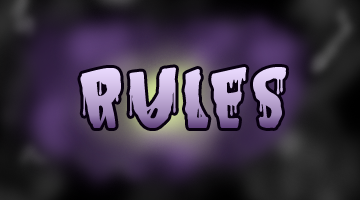 Rules may be added on an encounter basis. If something occurs I will announce a new rule or alterations and they will be bolded in red for everyone to see the changes. 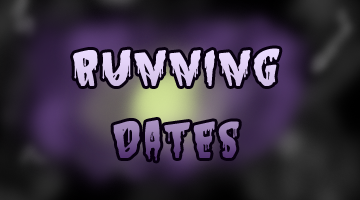 [center][url=http://www1.flightrising.com/forums/raf/2637537/1#post_2637537]Main[/url] | [url=http://www1.flightrising.com/forums/raf/2637537/1#post_37857495]Rules[/url] | [url=http://www1.flightrising.com/forums/raf/2637537/1#post_37857499][b]Tickets[/b][/url] | [url=http://www1.flightrising.com/forums/raf/2637537/1#post_37857505]Prizes[/url] | [url=http://www1.flightrising.com/forums/raf/2637537/1#post_37857508]Unlocks[/url] | [url=http://www1.flightrising.com/forums/raf/2637537/1#post_37857509]Egg Guess[/url] | [url=http://www1.flightrising.com/forums/raf/2637537/1#post_37857651]Costume Party[/url] | [url=http://www1.flightrising.com/forums/raf/2637537/1#post_37857660]Banners[/url] [u][url=https://docs.google.com/spreadsheets/d/1HCBfNc_uMNPgKQcnKjoneuri2CUGN06P9LQ0kPaEirs/edit#gid=197281335]Spreadsheet[/url][/u] | [u][url=https://deadlyraffles.tumblr.com/Tickets]Text Item Prices[/url][/u] [img]https://i.imgur.com/WwK2Jni.png[/img] [size=5][url=https://docs.google.com/spreadsheets/d/1HCBfNc_uMNPgKQcnKjoneuri2CUGN06P9LQ0kPaEirs/edit#gid=1152152350]Ticket Totals[/url] | [url=https://docs.google.com/spreadsheets/d/1HCBfNc_uMNPgKQcnKjoneuri2CUGN06P9LQ0kPaEirs/edit#gid=1985742482]Item Tickets[/url] | [url=https://docs.google.com/spreadsheets/d/1HCBfNc_uMNPgKQcnKjoneuri2CUGN06P9LQ0kPaEirs/edit#gid=1076565581]Apparel Tickets[/url] [/size][/center] I accept practically anything for my raffles! If it exists in your hoard then it's accepted for tickets. Make sure to let me know it's for this raffle when you're sending! [b]Items will be accepted via:[/b] Private Message, Crossroads, Private Auction (1t) [b]If you're using a CR[/b] please be aware that if you touch a stack/item in ANY way that you have attached to a CR, the CR will break and never work again. So I'll have to tell you to resend a new one. Unfortunately that's how it is. But if you're careful about it you should be fine, so send however you want! [center][size=5][b][color=7241d1]Festival Tickets[/color][/b][/size] All of these ticket values are per item! ALL festival currency (regular and Trickmurk Circus) are worth 50 tickets each, with each stack of 99 being worth 4,950 tickets [columns] [center][item=Spare Inventory Crate] [b]1,800[/b][/center] [nextcol] [center][item=Prismatic Token] [b]1,000[/b][/center] [/columns] [size=5][b][color=7241d1]Bump Tickets[/color][/b][/size] You can receive 5 tickets for bumping the thread! It's as simple as typing 'bump' and posting! There are a few rules, however. [/center] 1. It's been 10 minutes since the last bump 2. You can only receive tickets for bumping once a day 3. You have to have one of our banners or buttons in your signature [center] [size=5][b][color=7241d1]Referral Tickets[/color][/b][/size] You can receive tickets for 'referring' someone to the raffle! Spread the word to your friends and when they buy or send in items for tickets, if they mention that you referred them you will get 100 tickets. A user can only refer someone [b]once[/b]. If you were referred by Lightweaver you cannot also say that you were referred by Stormcatcher. However, Lightweaver can refer as many people as they want, and YOU can refer people all you want as well! [size=5][b][color=7241d1]Treasure Tickets[/color][/b][/size] Treasure value = ticket value 500 = 10 | 5,000 = 100 10,000 = 200 | 50,000 = 1,000 75,000 = 1,500 | 100,000 = 2,000 250,000 = 5,000 | 500,000 = 10,000 750,000 = 15,000 | 1,000,000 = 20,000 [size=5][b][color=7241d1]Gem Tickets[/color][/b][/size] Gem value = ticket value 1 = 20 | 10 = 200 20 = 400 | 100 = 2,000 150 = 3,000 | 200 = 4,000 500 = 10,000 | 1,000 = 20,000 1,500 = 30,000 | 2,000 = 40,000 [size=5][b][color=7241d1]Material/Trinket Tickets[/color][/b][/size] Anything that is not used for Swipp or Baldwin will be counted as 1/10th of the hoard sale value. [b]Examples:[/b] 23 treasure each = 2.3 tickets 55 treasure each = 5.5 tickets [size=5][b][color=7241d1]Dragon Tickets[/color][/b][/size] Most dragons will be exalted immediately upon CR or Private Auction! However level 25s (stoned or unstoned) will be sold as trainer dragons. If you are NOT okay with this, let me know beforehand. Send dragons via Two-Way Delivery or Private Auction so that I can give you the treasure for them. Extra tickets can be gained from sending as a one-way delivery/ 1t Private Auction! These will be based on the dragon's level. Levels 1-7 = x2 Levels 8-17 = x3 Levels 18-25 = x4 [img]https://puu.sh/CRhlv/55c582dd0d.png[/img] [img]https://puu.sh/CRhmm/f664f783c7.png[/img][/center] [b]Stoned 25s leave a screenshot in their bio to provide proof of stones. [/b] Stones need to be Eliminate, Berserker x3, Ambush x2. I accept practically anything for my raffles! If it exists in your hoard then it's accepted for tickets. Make sure to let me know it's for this raffle when you're sending! If you're using a CR please be aware that if you touch a stack/item in ANY way that you have attached to a CR, the CR will break and never work again. So I'll have to tell you to resend a new one. Unfortunately that's how it is. But if you're careful about it you should be fine, so send however you want! All of these ticket values are per item! You can receive 5 tickets for bumping the thread! It's as simple as typing 'bump' and posting! There are a few rules, however. You can receive tickets for 'referring' someone to the raffle! Spread the word to your friends and when they buy or send in items for tickets, if they mention that you referred them you will get 100 tickets. A user can only refer someone once. If you were referred by Lightweaver you cannot also say that you were referred by Stormcatcher. However, Lightweaver can refer as many people as they want, and YOU can refer people all you want as well! Anything that is not used for Swipp or Baldwin will be counted as 1/10th of the hoard sale value. Most dragons will be exalted immediately upon CR or Private Auction! 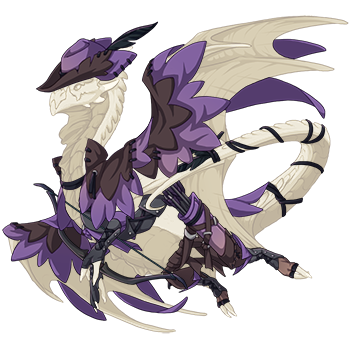 However level 25s (stoned or unstoned) will be sold as trainer dragons. If you are NOT okay with this, let me know beforehand. Send dragons via Two-Way Delivery or Private Auction so that I can give you the treasure for them. Extra tickets can be gained from sending as a one-way delivery/ 1t Private Auction! These will be based on the dragon's level. Stoned 25s leave a screenshot in their bio to provide proof of stones. Stones need to be Eliminate, Berserker x3, Ambush x2. Trickmurk Circus 2016. (9/14) Designed by Saerino. Trickmurk Circus 2016. (10/14) Designed by SolarRush. Trickmurk Circus 2016. (11/14) Designed by Archaic. Trickmurk Circus 2016. (12/14) Designed by Drytil. Trickmurk Circus 2016. (13/14) Designed by McMod. Trickmurk Circus 2016. (14/14) Designed by dragoonwys. Trickmurk Circus 2017. (8/14) Designed by DeathZhade. Trickmurk Circus 2017. (9/14) Designed by Swirlything. Trickmurk Circus 2017. (10/14) Designed by Shanol. Trickmurk Circus 2017. (11/14) Designed by houseteeth. Trickmurk Circus 2017. (12/14) Designed by Coronation. Trickmurk Circus 2017. (14/14) Designed by crateshya. Trickmurk Circus 2017. (13/14) Designed by wrecknrule. Trickmurk Circus 2018. (14/14) Designed by Fenhyste. Trickmurk Circus 2018. (10/14) Designed by TalaTari. Trickmurk Circus 2018. (12/14) Designed by SilverHawks. Trickmurk Circus 2018. (9/14) Designed by houseteeth. Trickmurk Circus 2018. (8/14) Designed by LizzaBissa. Trickmurk Circus 2018. (13/14) Designed by Gryffion. Trickmurk Circus 2019. (12/14) Designed by Tiguidou. Trickmurk Circus 2019. (1/14) Designed by Bluwiikoon. Trickmurk Circus 2019. (2/14) Designed by neonhorns. Trickmurk Circus 2019. (3/14) Designed by Spassow. Trickmurk Circus 2019. (4/14) Designed by ferpitou. Trickmurk Circus 2019. (5/14) Designed by yawns. Trickmurk Circus 2019. (7/14) Designed by Autopilot. Trickmurk Circus 2019. (8/14) Designed by Caecilius. Trickmurk Circus 2019. (9/14) Designed by bioluminosity. Trickmurk Circus 2019. (10/14) Designed by citrinebumblebee. Trickmurk Circus 2019. (11/14) Designed by Kaenith. Trickmurk Circus 2019. (13/14) Designed by LionMagnus. Trickmurk Circus 2019. (14/14) Designed by Aeonox. Contains the Opulent Nightshade ovalcrown, locket, bustle, knickers, bodice, tailtaille, garniture, spats, and gloves. The whole set! Contains the Dusky Rose Thorn Arm Tangle, Banner, Collar, Crown, Gloves, Leg Tangle, Stockings, Tail Tangle, and Wing Tangle. 9 items. Contains the Twilight Sylvan Anklets, Bracelets, Dress, Headpiece, Filigree, Twist, Lattice, and Wings. 8 items. Contains the Archer's Cape, Gloves, Hat, Leggings, Quiver, Tail Twist, Treads, and Wing Cover. 8 items. Contains the Dusk Rogue Belt, Vest, Bracers, Cape, Footpads, Trousers, Hood, Mask, Tail Binding, Gloves, and Wing Guard. 11 items. Contains the Amethyst Flourish Anklets, Belt, Bracelet, Necklace, Eye Piece, Wing Drape, Tail Drape, and Tail Clasp. 8 items. Contains the Untamed Leather Arm Guards, Boots, Banner, Claws, Headdress, Kilt, and Shoulder Guard. 7 items. Contains the Shadowscale Shoulder Guards, Chest Guard, Bracers, Greaves, Tail Guard, Wing Guard, and Helmet. 7 items. Contains the Pastel Woodbasket, Woodbrace, Woodguard, Woodmask, Woodtrail, Woodtreads, and Woodwing. 7 items. Contains the Helpful Woodbasket, Woodbrace, Woodguard, Woodmask, Woodtrail, Woodtreads, and Woodwing. 7 items. Contains the Mage's Midnight Bag, Gloves, Hat, Overcoat, Socks, and Tunic. 6 items. 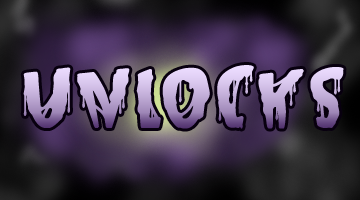 Contains the Mage's Nightshade Bag, Gloves, Hat, Overcoat, Socks, and Tunic. 6 items. Contains the Helpful Healer's Beacon, Calling, Mantle, Reference, Slippers, Trail, and Vestments. 7 items. Contains the Mystic Healer's Beacon, Calling, Mantle, Reference, Slippers, Trail, and Vestments. 7 items. A spool of pretty lavender ribbons. Includes Pretty Lavender Neck Bow, Arm Bow, Tail Bow, Head Bow, Leg Bow, and Wing Bow. Contains the Orchid Tail Feathers and Feathered Wings. 2 items. Riot of Rot 2013. (9/10) Designed by Uniformshark. Wavecrest Saturnalia 2015. (5/12) Designed by JackSpicer. 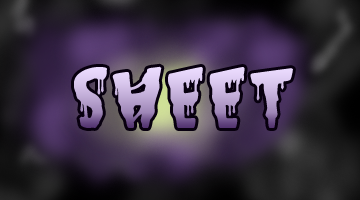 Each raffle will have hidden unlockable prizes based on various things that occur throughout the raffle. Unlocks can be a certain number of tickets achieved, a certain number of people participating, certain number of items sent in, etc. [center][url=http://www1.flightrising.com/forums/raf/2637537/1#post_2637537]Main[/url] | [url=http://www1.flightrising.com/forums/raf/2637537/1#post_37857495]Rules[/url] | [url=http://www1.flightrising.com/forums/raf/2637537/1#post_37857499]Tickets[/url] | [url=http://www1.flightrising.com/forums/raf/2637537/1#post_37857505]Prizes[/url] | [url=http://www1.flightrising.com/forums/raf/2637537/1#post_37857508]Unlocks[/url] | [url=http://www1.flightrising.com/forums/raf/2637537/1#post_37857509][b]Egg Guess[/b][/url] | [url=http://www1.flightrising.com/forums/raf/2637537/1#post_37857651]Costume Party[/url] | [url=http://www1.flightrising.com/forums/raf/2637537/1#post_37857660]Banners[/url] [u][url=https://docs.google.com/spreadsheets/d/1HCBfNc_uMNPgKQcnKjoneuri2CUGN06P9LQ0kPaEirs/edit#gid=197281335]Spreadsheet[/url][/u] | [u][url=https://deadlyraffles.tumblr.com/Tickets]Text Item Prices[/url][/u] [img]https://i.imgur.com/CbJWot4.png[/img] [item=unhatched shadow egg][item=unhatched shadow egg][item=unhatched shadow egg][item=unhatched shadow egg][/center] These four eggs are excited to hatch and join a family! They wiggle and you can hear the hatchies chattering to themselves in their eager frustration. The aim of the game is in the name, whoever's guess on what the hatchling will look like will earn that hatchling! There will be one hatchling for each week of the raffle. [center][size=5][b][color=7241d1]How to Play[/color][/b][/size][/center] 1. Guess everything about the hatchling! 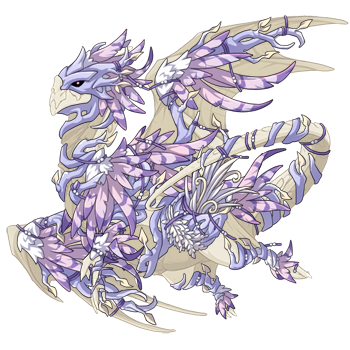 [indent][b]Breed:[/b] Fae, Tundra, Guardian, Mirror [b]Gender: [/b]Male, Female [b]Colors: [/b]Primary, Secondary, Tertiary[/indent] 2. Post your guess. 3. Wait and see who gets the closest to the hatchling! [center][size=5][b][color=7241d1]Prizes[/color][/b][/size][/center] Each guess will gain you 20 tickets for participating! The one who guesses the closest to the baby that comes from that week's egg will be the one to receive the hatchling. If you win but don't want it, or just wanted to play the guessing game, then you are free to gift the hatchling to anyone you want! These four eggs are excited to hatch and join a family! They wiggle and you can hear the hatchies chattering to themselves in their eager frustration. 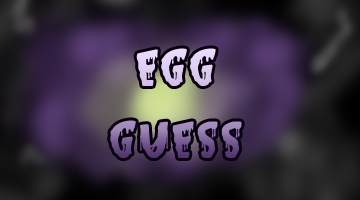 The aim of the game is in the name, whoever's guess on what the hatchling will look like will earn that hatchling! There will be one hatchling for each week of the raffle. 1. Guess everything about the hatchling! 3. Wait and see who gets the closest to the hatchling! Each guess will gain you 20 tickets for participating! The one who guesses the closest to the baby that comes from that week's egg will be the one to receive the hatchling. If you win but don't want it, or just wanted to play the guessing game, then you are free to gift the hatchling to anyone you want! 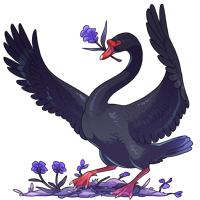 [center][url=http://www1.flightrising.com/forums/raf/2637537/1#post_2637537]Main[/url] | [url=http://www1.flightrising.com/forums/raf/2637537/1#post_37857495]Rules[/url] | [url=http://www1.flightrising.com/forums/raf/2637537/1#post_37857499]Tickets[/url] | [url=http://www1.flightrising.com/forums/raf/2637537/1#post_37857505]Prizes[/url] | [url=http://www1.flightrising.com/forums/raf/2637537/1#post_37857508]Unlocks[/url] | [url=http://www1.flightrising.com/forums/raf/2637537/1#post_37857509]Egg Guess[/url] | [url=http://www1.flightrising.com/forums/raf/2637537/1#post_37857651][b]Costume Party[/b][/url] | [url=http://www1.flightrising.com/forums/raf/2637537/1#post_37857660]Banners[/url] [u][url=https://docs.google.com/spreadsheets/d/1HCBfNc_uMNPgKQcnKjoneuri2CUGN06P9LQ0kPaEirs/edit#gid=197281335]Spreadsheet[/url][/u] | [u][url=https://deadlyraffles.tumblr.com/Tickets]Text Item Prices[/url][/u] [img]https://i.imgur.com/vSxUTVh.png[/img] [size=6][b][color=7241d1]Week 1 Theme[/color][/b][/size] [b]Shadow Flight[/b] [size=6][b][color=7241d1]Week 2 Theme[/color][/b][/size] [b]Circus Performer[/b] [size=6][b][color=7241d1]Week 3 Theme[/color][/b][/size] [b]Ringleader[/b] [size=6][b][color=7241d1]Week 4 Theme[/color][/b][/size] [b]Trickster[/b][/center] [center][size=6][b][color=7241d1]How to Play[/color][/b][/size][/center] 1. Pick a dragon you want to enter into the costume party. 2. 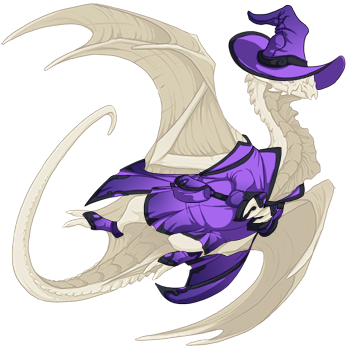 Use the [url=http://www1.flightrising.com/dressing]Dressing Room[/url] to dress up the dragon in the apparel and/or skin/accent you want! You do not have to own any of the apparel or skin/accent. Skins/Accents can be added underneath the apparel at the bottom right. 3. Share the completed outfit here! 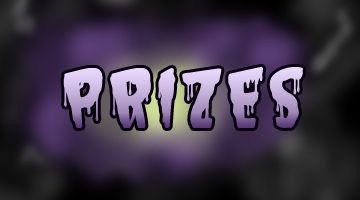 [center][size=6][b][color=7241d1]Prizes[/color][/b][/size][/center] Each week you may enter [b]one [/b]dragon for the current theme, no more. Each dragon will get you 20 tickets for participating. The top two winners for each week will receive an item prize, preferably tailored to wish lists/uncompleted bestiary familiars to help with those dreams and desires! 1. Pick a dragon you want to enter into the costume party. 2. 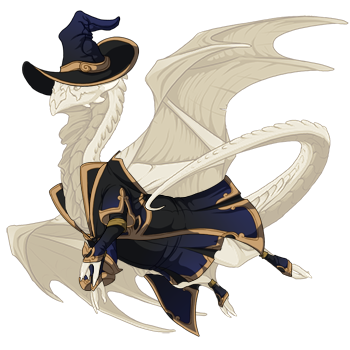 Use the Dressing Room to dress up the dragon in the apparel and/or skin/accent you want! You do not have to own any of the apparel or skin/accent. Skins/Accents can be added underneath the apparel at the bottom right. 3. Share the completed outfit here! Each week you may enter one dragon for the current theme, no more. Each dragon will get you 20 tickets for participating. The top two winners for each week will receive an item prize, preferably tailored to wish lists/uncompleted bestiary familiars to help with those dreams and desires! 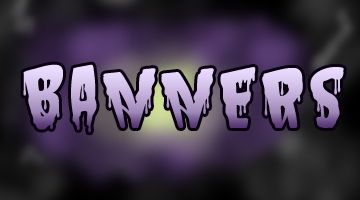 Here are my promotional banners! Feel free to put them in your signature to advertise and help out! 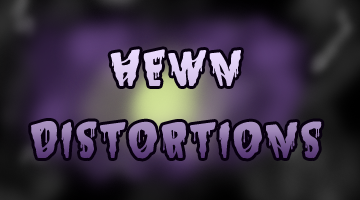 Welcome everyone to Hewn Distortions! A bit behind on the lore portion, will finish that later on. This raffle will run for four weeks until March 23rd, the day before I believe Mistral Jamboree starts. 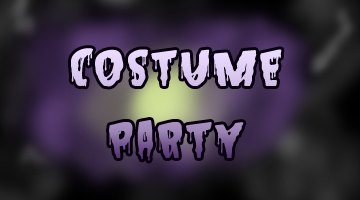 There are four Ice eggs to guess for and four Costume Party themes.